VANKLEEK HILL, ON – Beau’s All Natural Brewing has announced details of the next instalment in the Wild Oats series of limited edition experimental beers. 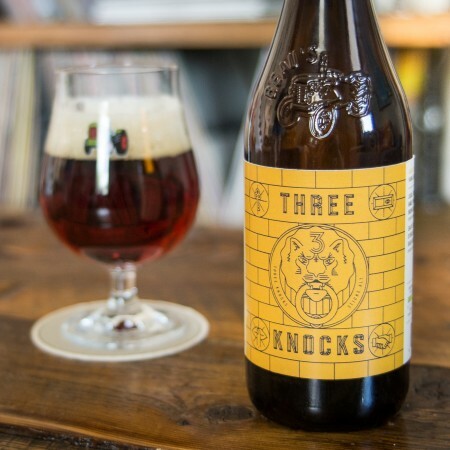 Three Knocks Sticke Alt (7% abv, 55 IBU) is inspired by the long-standing tradition of brewers in Dusseldorf to occasionally release a stronger version of their Altbier – an amber lagered ale first brewed in the region centuries ago – especially for friends, family, and regular customers. Three Knocks pours brilliant mahogany with a dense ecru foam. The aroma offers deep grainy malt notes complemented by a touch of herbal hops. The flavour notes feature deep chewy malt and intense but balanced hop bitterness. The long finish offers resonances of crisp malts and spicy hops with a touch of woody tannin. Three Knocks will be launched tomorrow (September 7th), and will be available in Ontario, Québec, British Columbia, Alberta, and New York State in 600 ml bottles and on draught; and in Manitoba, Nova Scotia, and New Brunswick on draught only.